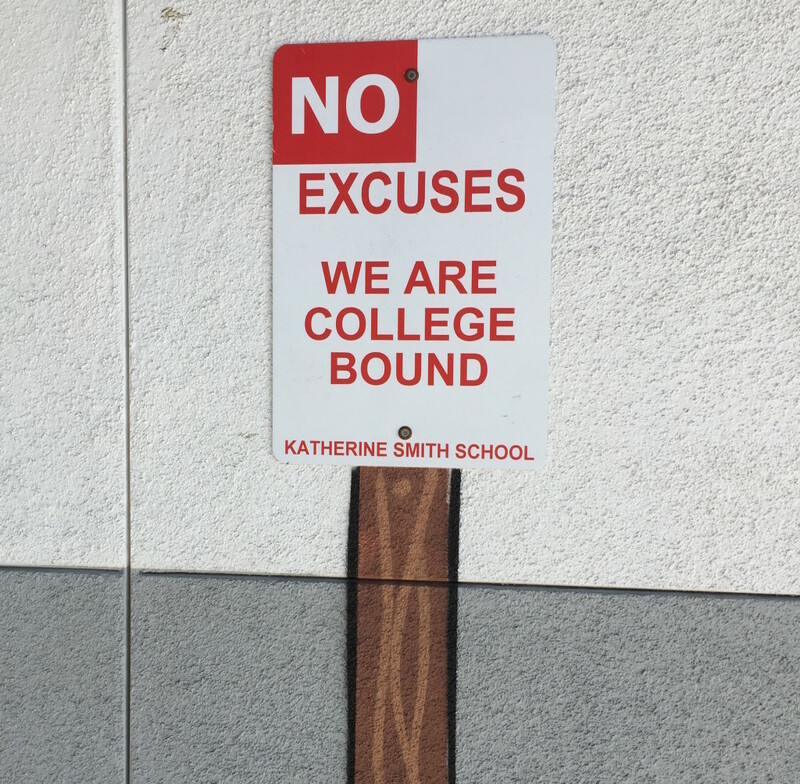 As they walk around their school, Katherine Smith students are constantly reminded that they are expected to work hard and succeed. Katherine Smith Elementary School, a Title I School in San Jose, CA with 82% of students on free or reduced lunch and 61% of students learning English as a second language, has adopted the motto, “We are college bound.” Within the past few years, they have completely reimagined their curriculum with a focus on project-based learning (PBL) in order to prepare students with the skills they will need to succeed in college and in life. And it seems to be working. In the three years since they have instituted this redesign, district walkthroughs have reported stronger teaching practices and more engaged students. Suspension rates have also plummeted—from 70 students the year prior to the redesign to about 10 students per year since. I had the privilege of visiting Katherine Smith School for an Open Campus Day to showcase their PBL curriculum. As part of a unit on Ancient Greece, sixth grade students completed a free Tynker programming course and created video games based on Ancient Greek mythology, which they presented to the larger school community as a Penny Arcade exhibit. My tour guide at Smith Elementary, a sixth grader named Guadelupe, was super excited to show me her video game. I played as Athena, goddess of war and wisdom, who goes on a quest through Ancient Greece in which she encounters obstacles and meets other figures from Greek mythology. Project-based learning aims to make the skills and information students are learning relevant in an authentic, real-world way. Units are structured around a driving question, which is often a real problem to solve or a question to explore and answer. To answer this driving question, students engage in sustained inquiry with the topic through Internet research, experiments, interviews, and more, often culminating in a final project and a reflection. Kids are engaged in what they’re learning—and it shows. The driving question that sixth grade teachers at Katherine Smith chose was, “How can we create a video game based on Ancient Greek mythology?” They wanted to incorporate coding into this unit because they believed it would show the students “how learning computer code could have a deep impact on their future.” The versatility of coding lent itself well to this open-ended project. Students could create anything they imagined in code and tell an interactive story that related to what they were learning about Greek mythology. The Penny Arcade allowed students to step into the role of teachers and educate their peers and community about Greek mythology and about the power of code. After each game I played at the Penny Arcade exhibit, the students asked me to fill out a survey giving them feedback on the game—what I had learned, what worked, what didn’t work, what was confusing. Instead of just getting a grade from their teacher, they got input from their peers and the community. This teaches them to give and receive constructive feedback and to revise their work based on critiques, just like in a real job setting. Many thanks to Katherine Smith Elementary School, inspiring teachers Lisa Sato, Theresa Opp, and Alma Peralta, and all of the very hardworking sixth grade students. This turned out to be an amazing project! To get started, just create a free teacher account, add your students, and start learning alongside your students! To learn more about using Tynker with your class, check out our tutorial videos for teachers. For additional PBL resources, explore our STEM lesson library. Photos courtesy of Lisa Sato, Cheryl B, Jill Leipelt, Theresa Nunez Opp, and Alma Peralta‘s Twitter accounts.